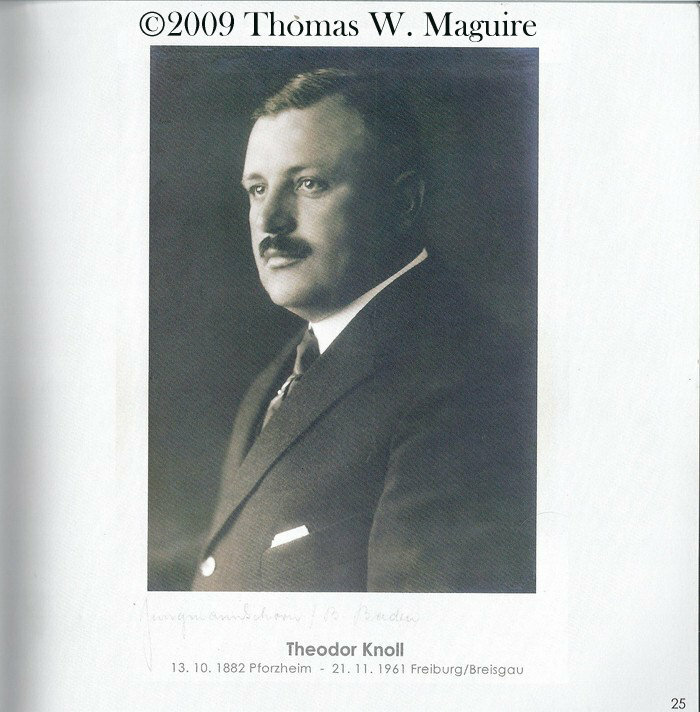 I am thrilled to be in contact with the great-great grandson of Theodor Eberhard Friedrich Knoll, founder of Knoll & Pregizer, a lovely young man named Thomas Wolfgang Maguire. He saw my article at Illusion Jewels and contacted me through Dotty. This is a picture of founder T.E.F. Knoll's son and Thomas's great-grandfather (and his mother's grandfather) Theodor Knoll who had Knoll & Pregizer as well as "Th.Knoll Co.". Thomas is trying to find out more info about this. This picture is property of Thomas Wolfgang Maguire and may not be used without his consent.